In the spirit of the holiday season, Casa Barilla, the Italian fast casual restaurant company, owned by Barilla, the world’s most popular brand of pasta, will begin serving a special “Feast of the Seven Fishes” menu at its restaurants in South Coast Plaza (California) and Radio City (New York). 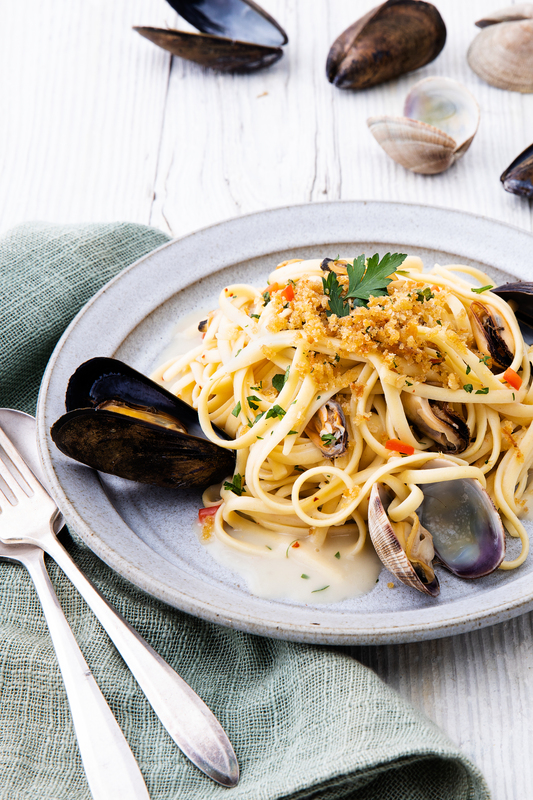 Paying homage to the Southern Italian custom of La Vigilia (the Vigil) and the Italian-American tradition of the “Feast of the Seven Fishes” in which in observance of an abstinence of meat on Christmas Eve, guests feast on an abundance of seafood in the form of a “grand-meal,” Casa Barilla’s “Feast of the Seven Fishes” will include two dishes, a Chilled Crab and Scallop Tri-Color Salad ($13.95), which features crabs and scallops tossed with shrimp, calamari, crisp baby greens, radicchio and fennel finished with cannellini beans and a bright citrus and white balsamic vinaigrette, and Linguine with Clams and Mussels ($14.50), featuring our updated version of classic linguine “vongole,” consisting of fresh clams and mussels, a hint of Calabrian chilies, and topped with umami breadcrumbs kissed with just a touch of anchovy. Casa Barilla’s “Feast of the Seven Fishes,” will be available from November 20th to December 31st. The decision to serve these special fish dishes at this time of the year fits into Barilla’s mission to bring to the world joyful, wholesome and honest food inspired by the Italian lifestyle and Mediterranean diet. Open seven days a week, Monday-Saturday 10AM-9PM, Sunday 11AM-6:30PM.